Ballet dancer for over twenty years and dealing with many aches and pains, Rachel became inspired by watching group of senior citizens in great shape practicing the method. Her gradual and complete transition from dancing to Pilates eliminated various pain issues throughout her body. TPC is a PSAP Approved School! new PMA Pilates School Approval Program! “We have been longtime staunch supporters of raising the bar on Pilates teacher-training programs everywhere. 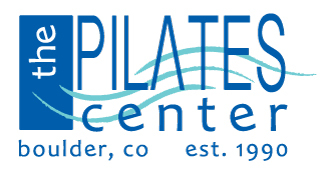 The renowned founders of The Pilates Center in Boulder show you how to bring balance to your body – Joseph Pilates’ ultimate goal – with a mat series that will work your fingers all the way to your core. Amy Taylor Alpers and Rachel Taylor Segel tell us how they found out about Pilates and what drew them to Romana Kryzanowska. They describe Romana’s great energy and how she had eagle eyes in the studio. Amy and Rachel also reveal what they believe to be Romana’s greatest contributions to the Pilates method. Debora Kolwey’s eclectic background – including Eve Gentry and Stephen Frease and a passion for dance and yoga – has influenced her 25-plus years of teaching at The Pilates Center of Boulder. Read her whole interview in the March/April 2017 issue of Pilates Style Magazine. Voted Best of Boulder 2017! Thanks to everyone for voting The Pilates Center Best of Boulder for the second year!